Seven of the freshmen started the Innovation program, seven more started the Electronics and Nanoelectronics, and one of the students joined the Mechatronics and Robotics program. The Mongolian students have come to Tomsk from the two largest cities of Mongolia – the capital Ulaanbaatar and Erdenet. Most of them are graduates of Russian-language schools. 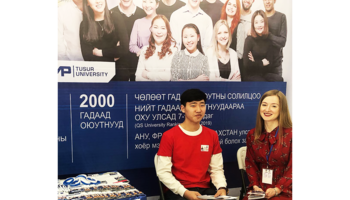 They have first learned about TUSUR in April this year, when the TUSUR delegation presented the university at the Education 2013 exhibition in Ulaanbaatar as part of its international enrollment campaign. 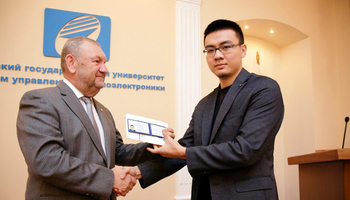 To enter the university, the Mongolian students had to take regular entrance examinations in physics, mathematics and informatics, and those of them who graduated from the Mongolian branch of the Russian Kyakhta School and took the Unified State Exam at graduation could submit those results. 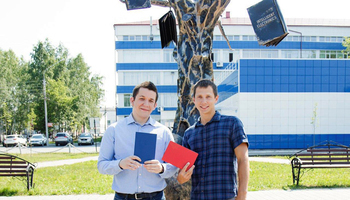 In Tomsk the students were accommodated in TUSUR dormitory #4. 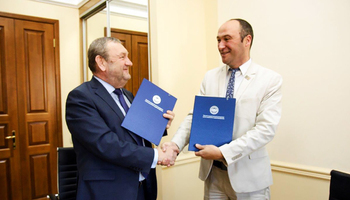 It is the first sizeable enrollment of Mongolian students TUSUR, although individual students from Mongolia have studied here before. There are two senior students enrolled in Bachelor programs, and one more student has graduated from the Master program this year. Enkhbayar Ganbat, the Master student, had joined the TUSUR delegation to Mongolia in April and helped with the enrollment campaign. He was an employer-sponsored student, and now he had returned to his home-country to a new position. Hopefully, the graduates returning come after completing their studies will help spread the work and attract new international students to TUSUR. Tomsk left a good impression on the Mongolian freshmen. “We like it here”, says Dorzhkhand, one students most fluent in Russian. “Tomsk is a very laidback city, and the people here are friendly. We were anxious about leaving home at first, we do not regret coming to study and TUSUR. Back in Mongolia all our teachers told us to pick TUSUR because it offers very good majors. Studying here is challenging but we do our best. We don’t yet know what we are going to do after we graduate, for now our priority is to get our degrees”.